Győr, 02 August 2018—Audi Hungaria has extended the product portfolio of its engine production: the serial production of a newly developed diesel engine with mild-hybrid technology was launched. This technology reduces emissions a great deal compared to the previous engine generations. The production of the new engine type takes place in a new production area of a 6,000 m2 floor space. This means, Audi Hungaria made another step in its anniversary year towards ensuring its future growth. Thanks to the 12-Volt starter generator and the lithium-ion battery, emissions are considerably reduced in this newly developed diesel engine. The 2.0 TDI engine is also standing out with its light weight, which is a result of the aluminium crankcase that replaced the previous casting engine block. The piston rings, the crankshaft and the cylinder head are also newly developed with the purpose of reducing the pulled weight and friction. The three-circuit cooling (one for the engine block and two for the cylinder head) allows ideal coolant flow in each driving situation. In the newly developed turbo charger the VTG (Variable Turbo Geometry) is driven by a fast electric engine. The common rail injection system is new, too. It injects fuel into the combustion chamber with a pressure of 2,200 bars. 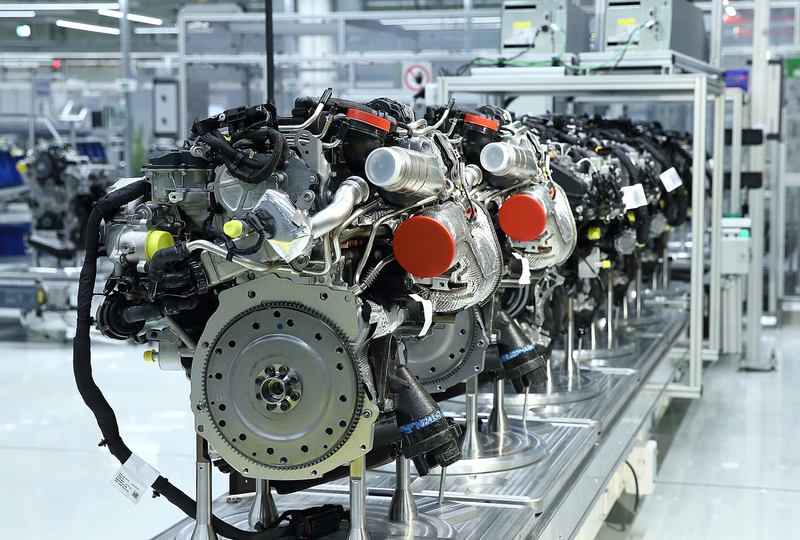 For the production of the new 4-cylinder engines the company commissioned a new assembly line on a 6,000 m2 floor space, where 500 engines are made in each shift. In the future, the aluminium blocks of the 4-cylinder diesel engines will be made in Győr for other sites of the concern as well. Nearly 100 employees work at the new production area. Ergonomics was of high priority for Audi Hungaria when building the assembly line. Workstations were analyzed using Motion Capture suits (motion tracking system), and were designed accordingly. Production is supplied with the necessary parts by a fully automated logistics system. 22 automated transport machines move along about 100 pre-programmed routes, each of them travelling more than 100 kilometres in each shift. 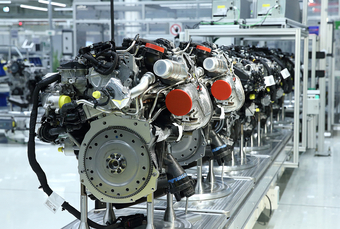 Audi Hungaria is one of the world’s largest engine factories. Beside gasoline and diesel engines the company also manufactures gas engines and electric engines, the latter for the first fully electronic car of the four-ring brand, the Audi e-tron.